Terry Kilpatrick is the cornerstone in multiple seven- and eight-figure verdicts, judgments and settlements. They include class actions and complex litigation, as well as catastrophic personal injury cases. Terry focuses on holding insurance companies and corporations responsible for the harm they have caused. Terry focuses on serious personal injury cases and complex litigation. One such example is: Terry is litigating against oil companies that have polluted well water in the central valley of California. The end goal is to make sure that the water that sustains our state is kept safe and free of corporate contamination. In 2007, Terry was a California Lawyer Magazine’s “Attorney of the Year” receiving state-wide recognition for his success in a civil rights case. 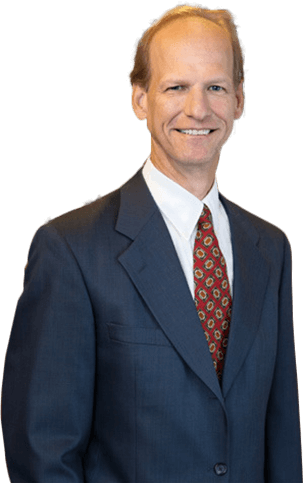 He has been practicing law since 1992, and before joining the Ernst Law Group, he was a partner of a prominent San Diego law firm. Terry is an advocate for justice and is committed to helping those who have been injured by the negligent and wrongful acts of others. He is an experienced litigator and has successfully tried cases before judges and juries in both state and federal courts and, when appropriate, follows through with appeals. “Without exception my clients just want what is fair, but they soon learn that even this modest goal requires a seasoned-litigator that knows how the system works and is willing to fight for their rights,” Terry says. Terry is a member of the Consumer Attorneys of California and the Central Coast Trial Lawyers Association.